We offer both Bespoke Design services and Turn Key solutions. Bespoke Design is everything that is unique to your business and cannot come from our stock of layouts. We offer many turn key solutions that only require the minimum amount of modification plus your content, this can significantly reduce the cost of your website but isn’t likely to make you standout from the crowd. 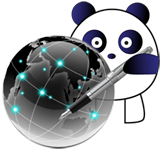 Our team has 16 years of successful web development which is why PurplePanda is the perfect partner for your business wanting to establish a world class web presence. Our portfolio includes a wide range of web sites, what ever you require we have the skills to make it work.